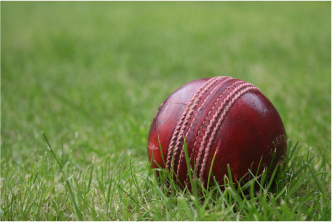 The ND Junior Secondary cricket tournament being played in Rotorua this week (3-7 December 2018) finally got away to an abbreviated start on day three, due to inclement weather earlier in the week. Two rounds of Twenty 20, were reinstated from the opening day, with the two Bay of Plenty representative sides finishing with three wins from four encounters. Bay of Plenty Coastland opened their tournament assignment with a short and sharp victory over the ND Invitation team. The Coastland bowlers wrecked the opposition innings, removing the ND Invitation side for a paltry 50 runs. The introduction of Liam Collett’s extra pace paid dividends with three wickets for 15 runs. Coastland skipper Dandre du Plessis led from the front, to take his team home to a ten wicket win, belting an unbeaten 34 from 19 which contained five 4’s and two 6’s. Round two, resulted in the Coastland XI defeating long-time rivals Northland. Batting first, the Bay representatives posted a very solid target, when they reached 123 for the loss of seven wickets. Dandre du Plessis and Spencer Wills put the Coastland side in the box seat with a opening stand of 69. Spencer was the first to go for 29 with Dandre carrying on to top score with 44 runs. Robert Ward posted a handy 20 before being dismissed. The Coastland bowlers again took control early in the match, to bowl the side from the far north out for 66, to claim a 57 run win. Finn O’Brien-O’Loan and Isaac White both bowled with genuine enthusiasm and were rewarded with two wickets apiece. Bay of Plenty Lakeland also made a cracking start to the tournament and posted a solid victory over Poverty Bay. The local side batted first and reached 127 for the loss of just four wickets, in their allotted overs. Batting at three, Viren Patel top scored with 43 off just 33 balls, with opener Cohen Stewart posting 29 runs. Viren Patel backed up his batting heroics, with two wickets without a run being scored, as Poverty Bay were restricted to 71 for the loss of nine wickets. Ethan Forbes and Sam Lund bowled solid line and length to be rewarded with two wickets apiece. The afternoon encounter resulted in the Lakeland side tasting defeat against ND age-group heavyweight Hamilton. The Bay side were restricted to 74/8 and took four Hamilton wickets, before their opponents clinched a six wicket victory.